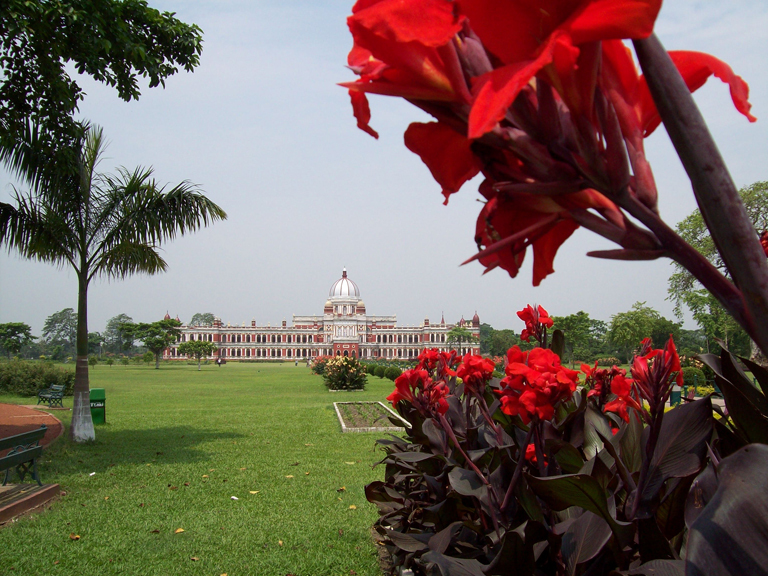 Cooch Behar is a district in north east West Bengal with a royal heritage. It is bound by Jalpaiguri to its north, by Assam to its east and by Bangladesh to its south. It used to be ruled by the Koch dynasty and therefore this name. Cooch Behar became a district in West Bengal in 1950 and is the only planned district in north Bengal on the Himalayan foothills. Since the Cooch Behar Palace still holds significance in the development of the district, it has been declared as a heritage town. Cooch Behar also happens to be the maternal home of Maharani Gayatri Devi. The residents enjoy a lovely climate and the best time to visit is during November through February when the temperature is between 10 and 24 degree Centigrade. 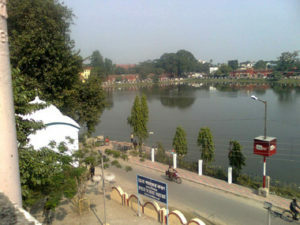 Cooch Behar is very well connected with other parts of the country through rail, road and air. Cooch Behar railway station is well connected to the rails of all the metro cities and all the superfast and express trains halt at Cooch Behar railway station. The North Bengal State Transport Corporation runs buses to and from West Bengal, Assam and Bihar to reach Cooch Behar. Private buses also ply to Cooch Behar and the bus terminus is near the palace. Taxis can be found near Transport Chowpathi and rickshaws have become a major mode of transport within the town. People traveling in aircraft can either arrive at Cooch Behar Airport or Bagdogra Airport located in Siliguri. Bagdogra airport is 160 kilometers from Cooch Behar. 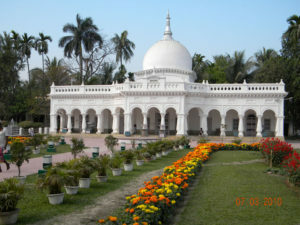 There are several hotels in Cooch Behar for visiting tourists. They range from budget accommodation to luxury and deluxe ones with room rents ranging from as low as 225 INR to as high as 3000 INR per night. You will get standard rooms as well as suites according to your taste. Facilities vary depending on the type of hotel you choose to stay. Most of the hotels are located either near bus stands or near railway station making them easily accessible by tourists. In Cooch Behar mostly local delicacies are served in the restaurants. However, the luxury hotels with their restaurant facility serve multi-cuisine preparations. Cooch Behar is a city of royal heritage and it still proudly presents the Cooch Behar Palace in its full glory to the tourists. 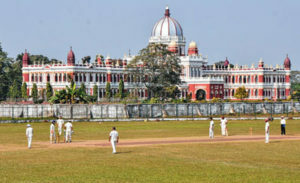 The Rajbari as it is locally known is an imposing building built in Italian Renaissance style. Constructed by the great Maharaja Nripendra Narayan in 1887, this magnificent structure is 1.5 meters in height covering an area of 4768 square meters. When you step inside the palace you will notice the royal insignia everywhere and the floor is marble. The palace has more than 5 rooms and halls including the Durbar Hall, library, kitchen, bedrooms, billiard rooms, dressing room, dining, ladies gallery and many more. Next in importance is the Madan Mohan Temple. Constructed during 1880s by Raja Nripendra Narayan, it is dedicated to Lord Madan Mohan along with shrines of Bhvani, Tara and Kali. The Raash Mela during Raash Purnima is an important festival when the temple is illuminated and becomes crowded with hundreds of worshippers. Other tourist attractions include Sagar Dighi, Moti Mahal, Laal Bagh, Ananda Ashram, MNJ Club, Rani Bagan, Patton Tank, and Hiranyagarbha Shiva Temple. This entry was posted by indispottravel in Dooars in West Bengal, Historical Places in West Bengal, Weekend Destination around Kolkata, West Bengal and tagged accommodation in Cooch Behar, Ananda Ashram in Cooch Behar, area of Cooch Behar palace, attractions in Cooch Behar, best time to visit Cooch Behar, budget accommodation in Cooch Behar, busses availability to Cooch Behar, Cooch behar, Cooch Behar garden, Cooch behar location, Cooch Behar museum, Cooch Behar Palace, Cooch Behar palace museum, Cooch behar Raash Mela, Cooch behar Raash Mela timing, Cooch Behar rajbari, Cooch Behar temperature, distance of Bagdogra from Cooch Behar, distance of NJP from Cooch Behar, distance of siliguri from Cooch Behar, dooars in west bengal, doors north bengal, dours tour, Hiranyagarbha Shiva Temple in Cooch Behar, hotels in Cooch Behar, how to go to Cooch behar, how to go to Cooch behar Palace, how to reach Cooch Behar, how to reach Cooch Behar Palace, Laal Bagh in Cooch Behar, Madan Mohan Temple in Cooch behar, Maharani Gayatri Devi, Maharani Gayatri Devi and Cooch behar, MNJ Club in Cooch Behar, Moti Mahal in Cooch Behar, Patton Tank in Cooch Behar, per night room rent at Cooch Behar, Rajbari, Rani Bagan in Cooch Behar, rearest railway station of Cooch Behar, room availability at Cooch Behar, room rent at Cooch Behar, royal heritage in north Bengal, royal heritage in west Bengal, Sagar Dighi in Cooch Behar, staying options in Cooch Behar, what to see at Cooch Behar, what to see at Cooch Behar palace museum, where to stay at Cooch Behar, who built the Cooch Behar palace, who built the Cooch Behar rajbari.